Nadim has been the president and owner of OK3 AIR since 2000. Born in Beirut, Lebanon, he moved to the U.S in 1983. After graduating with a B.A. from George Washington University in 1988, Nadim worked for six months as an aerobatics flight instructor before joining the U.S. Navy. Nadim spent 10 years on active duty in the U.S. Navy as an F/A-18 carrier pilot, completing two deployments to Iraq in support of Operation Southern Watch. After graduating from the Navy Fighter Weapons School (Top Gun) in 1997, Nadim spent three years as an F/A-18 Tactics Instructor with the Strike Fighter Weapons School at NAS Lemoore, CA. Nadim has accumulated over 6,000 flight hours in over 30 different kinds of airplanes. Still an active pilot, Nadim can be regularly spotted in the skies over the Heber Valley flying the OK3 Extra 300L or in the Utah and Idaho backcountry in OK3's Cessna Turbo 206. He and his wife, Maggie, have three children. Nadim enjoys backcountry flying with his family, skiing, hiking, fly fishing, and mountain biking. Jeff is OK3 AIR's Jack-of-all-Trades, serving as Ground Operations Manager, Director of Maintenance for its Part 135 Charter Certificate, and Chief Inspector for its Part 145 Repair Station Certificate. 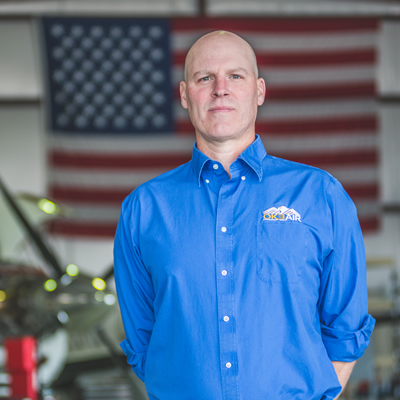 Jeff started his aviation career with the United States Army, where he served as a helicopter mechanic from 1984 through 1988. After receiving his A&P License, he went in to helicopter maintenance for the logging industry. 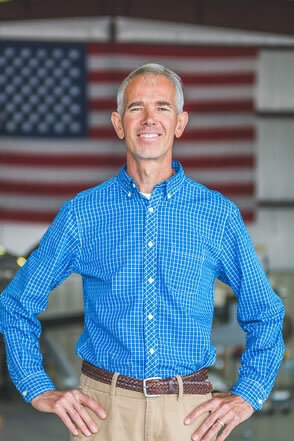 Jeff first came to work in Heber City and for OK3's predecessor, Wasatch Aero, as an aircraft technician in 1999. 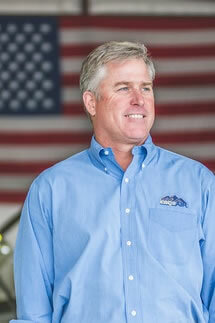 He earned his Private Pilot license in 1999 and his Inspection Authorization in 2001. Jeff and his wife, Lisa, have three daughters. In his spare time, he likes to -- of all things -- fly! Alan is OK3 AIR's Chief Financial Officer, managing all aspects of OK3's financial, accounting and human resources. Alan graduated from Old Dominion University in Norfolk, VA, with a degree in Business with a concentration in accounting. He worked for a "Big Eight" accounting firm and in the external reporting function for a Fortune 500 retailer. Before joining OK3, Alan served many years as CFO for Cree, Inc., a publicly-traded, leading LED lighting manufacturer, based in Durham, NC. He is also a private investor and runs his own investment advisory, Robertson Capital Management. Alan and his wife, Margaret Anna, have two children. Alan enjoys running -- a lot!